Changing and healing the world starts within yourself. I’ve realized that we are all connected—we all come from the same source, and we’re part of everything and everyone. 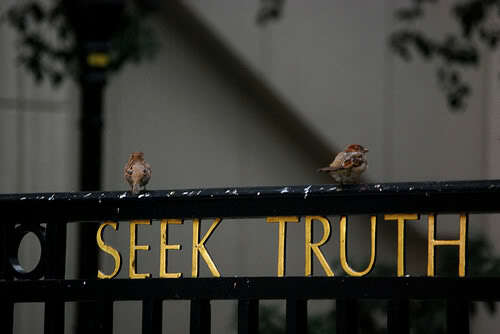 So any chance of peace in the world, starts inside. Viewing the world with the eyes of LOVE rather then fear, is the solution , because when you’re at peace inside, you emanate peace outwards. 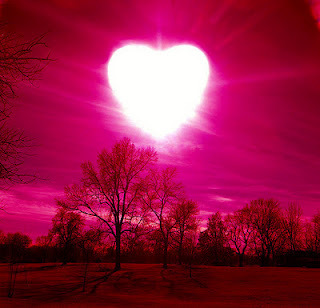 For that purpose, I made a facebook page which focus’ on love, inspiration, and beauty. The Hunger Games is a wildly popular new movie set in a dystopian future where an all-powerful, high-tech centralized government rules over “districts” of impoverished populations barely surviving in third-world conditions. The film, based on the book of the same name by Suzanne Collins, is important to understand becauseit depicts the very future that the global elite are trying to create. In fact, much of what is shown inThe Hunger Gameshas already begun (see below). The film is set 74 years after a popular uprising that failed to overthrow a corrupt, centralized federal government. As punishment for the attempted uprising, the all-powerful government now requires each of 12 districts to “volunteer” a young girl and boy each year to participate in the Hunger Games — a bloodsport “breads and circuses” event that serves as the opiate of the masses to distract society from the fact that they are all slaves living under tyranny. 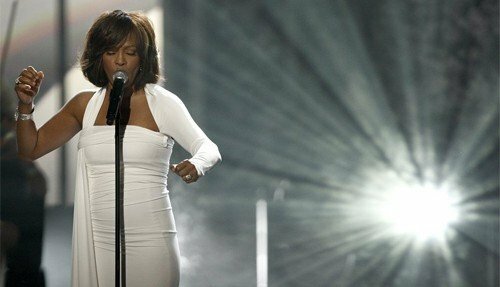 The 2012 Grammy Awards took place in a horrible context: the wake of the sudden, mysterious death of Whitney Houston. The show went on nevertheless … but not without a great deal of strange symbols and events that made one thing very clear: There is a definite dark side to the entertainment business. We will look at the facts surrounding Whitney Houston’s death, the symbolic elements of the 2012 Grammy Awards (including Nikki Minaj’s ritualistic performance) and see how the ceremony turned into another mega-ritual. I had a feeling that in 2012 the occult agenda of the entertainment industry would be kicked in high gear. I was right: In the span of a week, the most important night in sports (the Superbowl – see the article about it here) and music (the Grammys) were infused with ritualistic elements witnessed by millions of viewers. While the Superbowl half-time show lasted only 13 minutes, the ritual surrounding the Grammys lasted for days and its aftermath is still going on as odd facts and accounts regarding Whitney Houston continue to surface in the media. This article will list several facts and events that took place before, during and after the Grammy Awards that have a symbolic significance in the grand scheme of things. While some of the facts mentioned here might have been the result of coincidence or poor timing, they still came together in one big, classic case of synchronicity. In other words, apparent coincidences sometimes reveal an underlying pattern behind events. 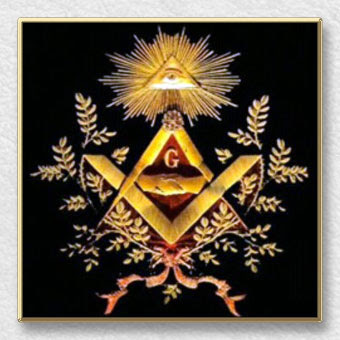 When we look at the facts and the occurrences surrounding Whitney Houston’s death coupled with the symbolic elements of the 2012 Grammy awards, the entire “event” has the looks of an occult ritual, complete with a blood sacrifice, a celebration and even a “re-birth”. Some of the things described below were pre-planned, while others were possibly just odd coincidences. However, the overwhelming and almost palpable energy emanating from the 2012 Grammys definitely made some things align in a synchronistic fashion. Let’s look at the most significant events that happened during that fateful weekend. If you read other articles on this site, you probably noticed that everything surrounding Whitney Houston’s is astonishingly on-par with other celebrity “sacrifices”. Accounts of strange events before the death, bizarre behavior of the authorities when the death was discovered, conflicting reports, vagueness surrounding the cause of the death and, to top it off, a worrying “response” from the music industry through the Grammys. Her case followed the same pattern as several other celebrity deaths that were blamed on drugs despite many conflicting reports. As it was the case for these other celebrities, the media almost automatically launched a campaign depicting Whitney as a hopeless drug addict. Maybe she was a drug addict, but that might only be the tip of the iceberg … a symptom of the true illness that killed Whitney: the music business. When I learned that Madonna – aka the Grand Priestess of the music industry – would be performing at the Superbowl halftime show, I thought: “This should be interesting”. And it was. While most were amazed by a woman in her fifties dancing around with LMFAO and others were annoyed at her lip-syncing, I was interested with something else: the flurry of symbolism flashed to billions of viewers worldwide. 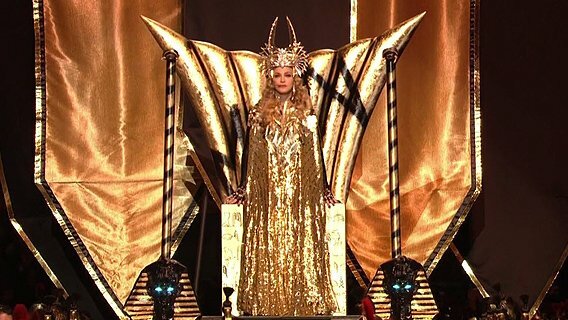 While most considered Madonna’s performance as an entertaining interlude to the most important football game of the year, those blessed with symbol-literacy will probably agree with the following statement: Madonna’s halftime show was a big celebration of the Illuminati industry and of its Grand Priestess, Madonna. It is rather appropriate that this Kaballah-intiate referred to the Superbowl as the “Holy of Holies” as it was the name of the most sacred place in Solomon’s Temple. No one was ever permitted to enter the Holy of Holies but the High Priest. This privilege was only granted on the Day of Atonement, to offer the blood of sacrifice and incense before the mercy seat. Madonna’s analogy was therefore telling of the mindset behind her performance. Let’s look at the main parts of her show.